Click on image to learn more about K-9’s that need your help. 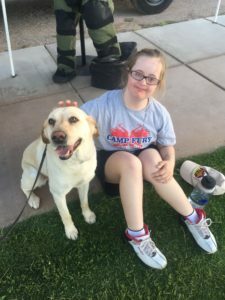 The Oro Valley Optimist Club (OVOC) is a non-profit agency that promotes a lifestyle of good health and positive citizenship for the youth of northwest Pima County. 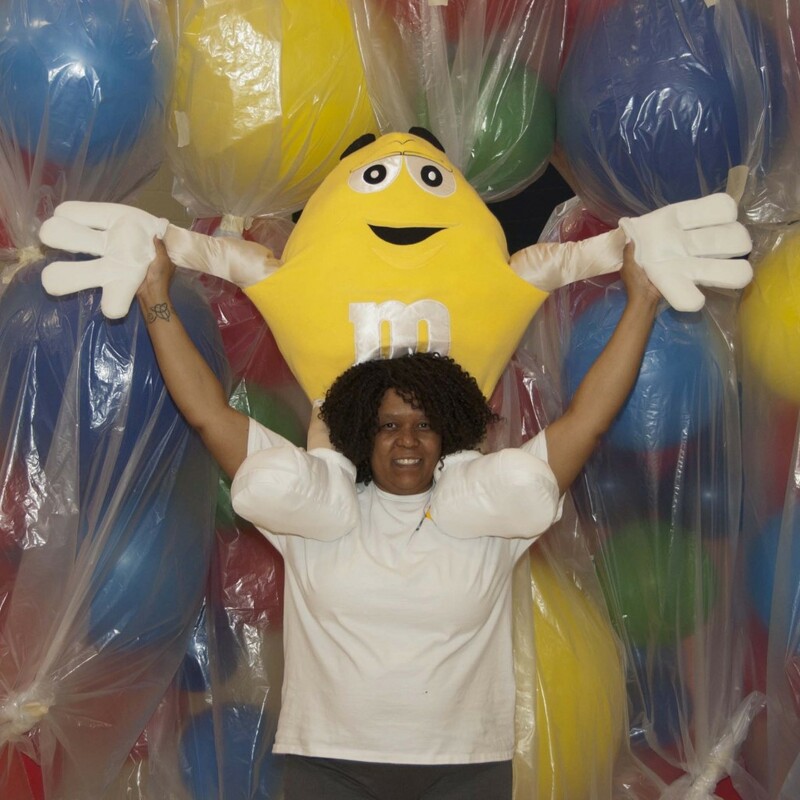 The OVOC has been serving the youth of this community since November 20, 2002. Currently, there are 25 members that support 12 different youth groups throughout the community. An example is the Law Enforcement Drug Awareness Day and Camp Fury. 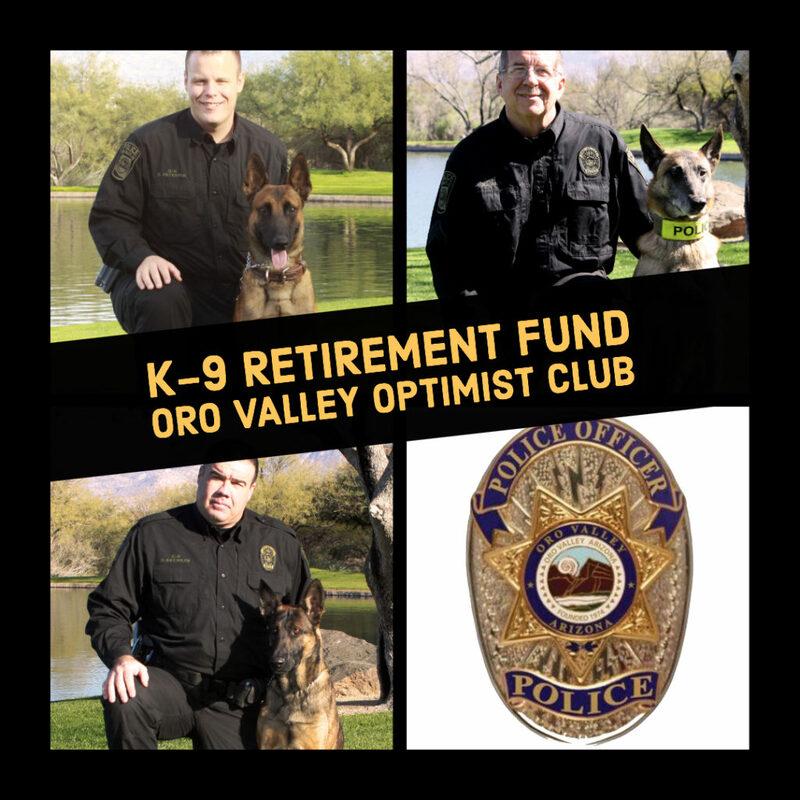 The OVOC seeks to support the Oro Valley Police Department(OVPD) by establishing the OVPD Retired Police Canine (K-9)Fund that is separate, but under the umbrella of the OVOC Youth Services Fund, a 501c3 entity. The fund will be used to reimburse a K-9’s handler for out-of-pocket expenses incurred for non-routine medical care for retired police dogs. The K-9s are often adopted by their handlers when they retire, and most go on to become beloved members of their families. However, retired K-9s can experience costly medical challenges. Most agencies, cities, or counties provide the K-9s with veterinary care during their working career, yet it’s not uncommon for the agency to discontinue to pay for medical costs after retirement. Thus, the responsibilities fall to the handler. That’s where the OVPD Retired Police Canine Fund comes in. This monetary effort will ensure the K-9s have proper medical care during retirement for expensive procedures due to work-related injuries. The fund will truly benefit the dogs after their working careers are complete. Should you have any questions, please feel free to contact us directly! 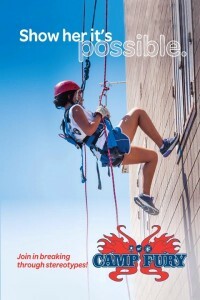 If you would like to send a donation via the US postal service, checks should be made out to: OVOC Youth Services Fund and addressed to OV Optimist Club, PO Box 68171, Oro Valley, AZ 85737.